The nickel-cadmium or NiCad battery is a rechargeable type of battery. They are often used in small appliances and power tools, particularly cordless ones. Since power tools consume a huge amount of power, a typical battery isn’t the best one to use. And this is where the NiCad battery comes and save the day! Through these batteries, power tools will be able to perform well – they can absolutely work at full capacity. Well, this only shows how powerful NiCad batteries are. But unfortunately, they will eventually lose their power and die. While this is unavoidable, the good news is: Rejuvenating NiCad rechargeable drill batteries are undoubtedly possible! Yes, you read that right. You can possibly rejuvenate or restore a dead nickel-cadmium battery back to its life! In addition, it would be the best if you can store dead NiCad batteries instead of throwing them away. 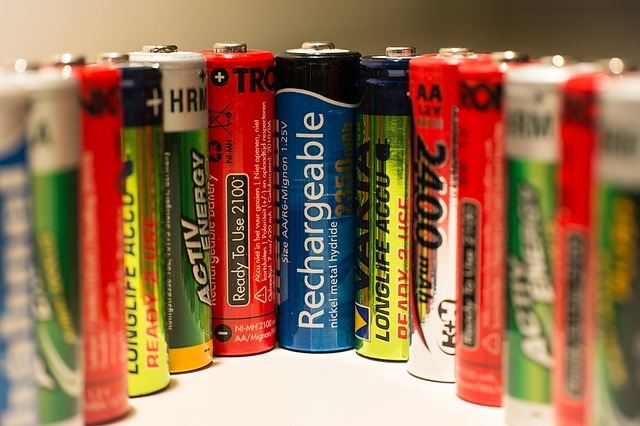 Since these batteries contain toxic chemicals, they can badly affect not only the environment, but also our health – especially if exposed for longer periods. Thankfully, you don’t have to do that! Why don’t you bring your NiCad batteries instead? Before we show you how to rejuvenate an old or dead nickel-cadmium battery, let’s first talk about why they die in the first place. Ni-Cad Batteries: Why Do They Die? First, you should understand that they don’t exactly and really die. Commonly, sulfur crystals are what’s causing the problem. Once the crystals have formed inside the cell, this could lead to the cell shorting out and unable to recharge again as these crystals will eventually touch the ends of the terminals. Thankfully, you can easily remove and destroy these damaging sulfur crystals. But how? A heavy surge of current through the cell will get the job done as this help vaporize the crystals, allowing your battery to live longer. And now, let’s get back to the main topic. So, below you can see the actual steps that will let you effectively bring dead NiCad batteries back to their life. Once you have all the items provided above, you are now ready to get a dead battery working back again! Step 1: First, you’ll have to safely open up the camera and remove the circuit. But be very careful – the capacitor can shock you! You can easily notice the capacitor: It is commonly black and has a circle shape. Furthermore, its function is to make flashes. You will need to open the case of the camera. To do this, you can either use a screwdriver – flat-head one – or just your hands. But to be safe, use a flat-head screwdriver instead as you are more likely to get shocked when you use your hands. Once you’ve successfully taken the case of your camera, go ahead and use an insulated screwdriver for the capacitor to discharge. You may or may not get a loud spark during the process, but don’t you worry – that’s just normal! If that happens, it only means: Capacitor is already discharged. Step 2: Now, you will need to take out the surface-mounted charge switch then add a switch – an external one. Doing this will allow you to control the circuit much easier. Then the next step is to take away the charge switch’s top bit – it should have some tape placed on top – it shouldn’t be that hard to take away. Once done, proceed and solder two (2) pieces of wire on the exposed metal tabs. Then, onto the wires both ends, solder a new charge switch. Step 3: Using your soldering iron, use it to solder both the high-power switch and battery holder along with the capacitor. Then on your capacitor lead, solder the battery holder’s black wire there. Next, solder or connect a piece of wire the to the other capacitor lead. You should then solder the switch – push-button switch – to battery holder’s red wire and as well as the other wire. Step 4: Now, it’s time to insulate the heavy voltage. You’re almost done – all you have to do is to insulate each high voltage part. Step 5: And for the last and final part – the actual recovery of your Ni-Cad battery life! You will need to place the battery into the battery holder – the zapping one – and put the alkaline battery on the circuit of the camera, particularly on the battery holder. Then turn on the switch and simply wait for the LED light to glow. Once it is glowing, press the push button switch – expect to hear a loud popping sound! But don’t you worry about this, the pop only means that your battery is alive. Also, to ensure that all the sulfur crystals will be vaporized, give it another go – zap it once again! After zapping it, you can go ahead and charge the Ni-Cad battery in its charger to see if it’s working properly. And there you have it! Once all the steps are done properly, rejuvenating Nicad rechargeable drill batteries will be absolutely possible. Also, do each step carefully to avoid potential injuries. Yes, the process is a bit hard, but in the end – it’ll be worth it! 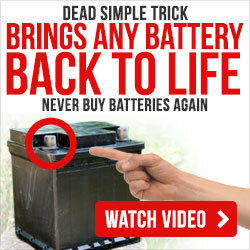 So, if you think that you can’t bring back dead Ni-Cad batteries to their life, then that is where you are wrong! With the steps provided above, you’ll be able to get the most out of NiCad batteries life. And this method will allow you to protect not only yourself, but also the environment. Moreover, don’t try to throw dead batteries immediately – restoring or rejuvenating it is definitely possible!